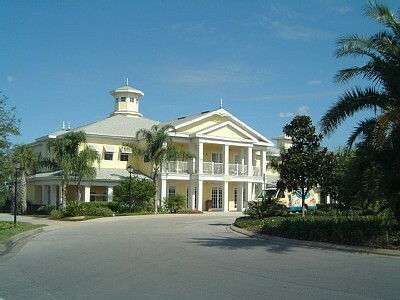 Greendale Property Management and www.magicvillas4u.com is the same company but more importantly they are one of the most respected short-term rental and property management companies in Central Florida. We manage luxury vacation homes all within 4 miles of Disneyworld, Animal Kingdom, Blizzard Beach and many other theme parks. All our homes are in well kept communities. Whether your desire is to maximize your rental income or just maintain your own personal vacation residence, Greendale Property Management can provide the professional services you will need. WHAT ARE YOUR MANAGEMENT SERVICES ? Greendale Property Management offers flexible management, whether it be full management or management under a “caretaker” basis (click on the services link to the left of this page for more information) we can take care of all your taxes and necessary licenses, as well as paying all bills related to the property. Greendale Property Management sets up an individual account for each owner that joins our company and email easy to understand monthly statements showing full revenue and expenditure. We also have a complete Owner Services Division to provide a prompt response and solution to any owner inquiry. HOW DO YOU MAINTAIN THE HOMES ? Our services department provide housekeeping, lawn care/landscaping and pool maintenance as well as general house maintenance most of which are provided by our carefully selected and fully licensed contractors or in-house personnel for reliability and quality control. Our services ensure that your property exceeds the rigorous regulations of the State Inspector. CAN YOU PROVIDE MY HOME WITH RESERVATIONS ? With the economy the way it is and the marketplace growing at the speed it is we act quickly and effectively all the time providing quality customer service. Each enquiry made via our website www.magicvillas4u.com is responded to by one of our highly knowledgable team members. With our experience and our team of trained professionals we understand what is necessary for our owners and ourselves to be successful. Our experience in the vacation rental management industry helps us provide a consistent level of rental income to each property. Our state of the art computer software helps us manage the availability of all our luxury vacation homes. We offer each and every vacation home that is available 100% of the time to 100% of the people that are looking to book their dream vacation through us. This helps us maximize your homes potential allowing you to relax safe in the knowledge that your investment is working. Unlike many of our competitors we actively source our own reservations, this enables us to offer you better rates than most property management companies out there. We do also work in partnership with third part suppliers as we don’t believe in empty houses, empty houses are costing you money. All rental income is paid promptly to the Owner's Management Account. IS GREENDALE PROPERTY MANAGEMENT LICENCED BY THE STATE OF FLORIDA ? Yes, we are licensed by Osceola County as a lodging provider and each home is licensed by the state to be rented as a short term rental property. IS THE HOME I SEE ON YOUR WEBSITE THE ONE I GET ? Yes, unlike other companies in the area, we rent the specific property you see in full detail on our website. We believe that this is the only way you will be happy with your accommodation. WHAT IS REQUIRED TO MAKE A RESERVATION ? When you find the vacation villa of your choice you can either send us an email through our contact us page with the information on the villa you would like to reserve or you can speak with one of our team members on our toll free number 1-866-989-2030. For more information please click on our terms and conditions link to the left of this page. DO YOU OFFER GROUP RATES AND PLANNING ? Yes we do, we have many homes in close proximity to one another, please indicate the type of group and how many people you will need to accommodate when calling. Your home will be available for Check-in at 4pm, an early check-in can be coordinated for an additional fee. If the property has a check-out the day of your arrival we will not be able to coordinate an early check-in. Check out time is 10am again if the home is going to remain vacant for an additional fee check out can be delayed. A vacation home requires more time to clean than a hotel room, so please help us prepare for our next guest by being on time. Our office hours are from 8am to 7pm Monday thru Friday and 9am to 5pm Saturday and Sunday. However you will still be able to check in to your luxury vacation pool home as all our homes have electronic door locks that have codes programmed specifically to you. If you have an emergency while staying in one of our vacation homes our 24 hour answering service is always available to assist you. WHAT WILL WE BE RESPONSIBLE FOR WHEN WE CHECK OUT ? We just ask that you lock up and leave the home as if it was your own home. Our departure team will arrive shortly after you leave and take care of the rest. HOW WILL I RECEIVE MY CONFIRMATION AND ARRIVAL INSTRUCTIONS ? All confirmation and arrival instructions will be sent via email. HOW MANY PEOPLE CAN STAY IN YOUR HOMES ? By state law, occupancy may not exceed what is posted for each home. Maximum occupancy includes children. ARE THE POOLS HEATED ? Greendale Property Management can assist in heating your private pool for an additional charge, it is generally observed that pool heat isn’t required between April and September. Pool heat is charged at $25 per day with a minimum of 4 days. Some of our owners allow pets, please ask a member of our reservations team for more details of which homes are available for this service. A pet fee will be required, not all pets are accepted. IS THERE A FULLY EQUIPPED KITCHEN ? Yes, every home has a full kitchen including cooking and eating utensils, refrigerator, oven, microwave, coffee maker, toaster and dishwasher. ARE ALL TOWELS AND LINENS PROVICED ? Yes, there are linens and towels provided in each unit. ARE THE PROPERTIES CLEANED EVERYDAY ? No, the property is cleaned before your arrival and after your departure. You can request Mid-stay clean at an additional charge. A Mid-stay clean includes: washing all sheets and towels, cleaning all bathrooms, kitchen area, vacuum and dusting, sweeping and mopping and refreshing your starter paper products. ARE THE PROPERTIES SMOKE FREE ? Yes, all of our properties are Non-Smoking. Smoking is permitted outside of the property only.